Germany is the world leader in Solar Power. This Friday and Saturday, when sunlight was quite good, Germany generated 22 GW (1 GW or Giga Watt = 1,000 Mega Watt) of solar power for a few hours in the afternoon! That is nearly 50% of its power requirements (note requirements on weekends are less, since factories and offices are closed). Still this is quite a milestone! For comparison, the biggest power consuming state in India, Maharashtra consumes about 15 GW of power. – Germany generates about 4% of its total electricity needs annually via solar power. – Total renewable energy generation is 20% of its total needs. – Total installed capacity of Solar Power in Germany is nearly half of the installed capacity in the whole world. – Germany added 7.5 GW of installed power generation capacity in 2012 and 1.8 GW more in the first quarter for a total of 26 GW capacity. 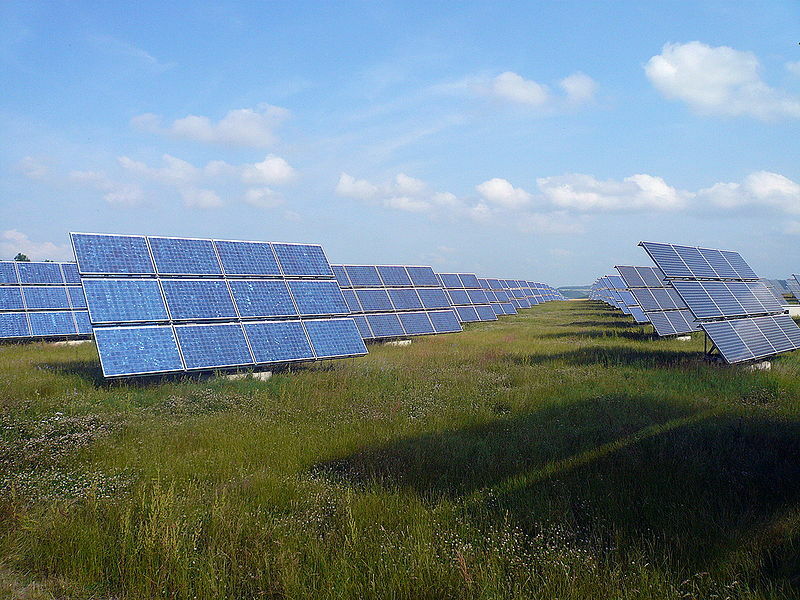 – But the solar power costs might come down as photo-voltaics become cheaper each year. Do read the full article here and also visit: http://en.wikipedia.org/wiki/Solar_power_in_Germany for more details. India has lot more hours and months of sun as compared to Germany. Cost of photo-voltaics is coming down, making solar power more competitive. Solar power seems a lot more attractive renewable energy option, as compared to wind. Gujarat has taken the lead in installing solar power. Maharashtra, Karnataka and other states are also setting up solar fields, but the progress is slow. India needs more policy focus and better execution to make solar power a successful reality. Currently, China is the world’s major exporter of photo-voltaic cells. India needs to expand production of photo-voltaics. Similarly, other new related areas such as concentrated photo-voltaics (CPV) should also explored. It is worth noting that Solar Power (or for that matter, any renewable energy source) is not a panacea for energy requirements… at least definitely not in the coming decade. Even in Germany today, Solar Power contributes single digit percentages annually of the total energy requirements. Thus, India will still need to expand its electricity production from conventional and nuclear power sources. Still, in an energy starved India, 10% renewable solar power in a decade, with no dependence on foreign fuel, would be a great step.